Intelligent Worming are pleased to introduce the first customer of the month. Alex Graham has been selected as our April 2011 customer of the month. 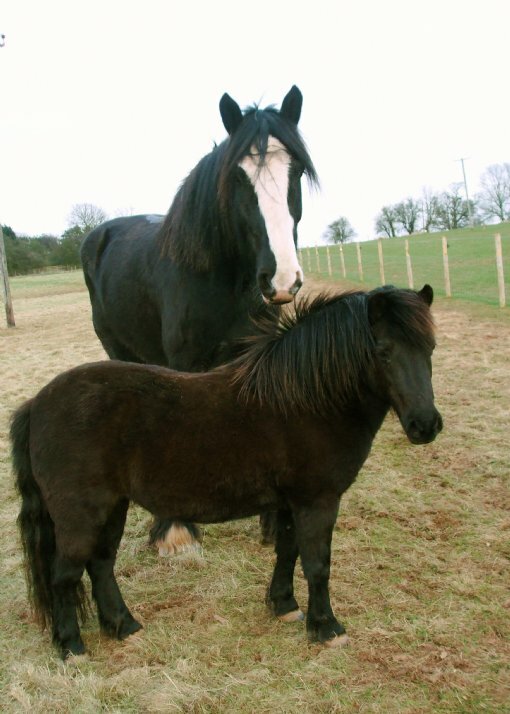 Alex signed her Shire horse - William, and Shetland x Welsh Pony - Magic up to Intelligent Worming in Spring 2010. Prior to joining Intelligent Worming Alex had been following a chemical worming program. The initial faecal egg counts for William came in at 625epg indicating that the program which Alex had been following previously had not been effective for William. Alex's consultant immediately prescribed a chemical treatment and followed this by a resistance test which also indicated that William had benzimidazole resistant worms. A treatment program was designed specifically for William which incorperated chemicals to treat the burden, and also faecal egg counts to determine suitable intervals for the chemicals to ensure they were working effectively. The strategy moving forward for William is to ensure the burden has been significantly decreased, this will allow the consultant to extend the intervals between the chemicals and reduce the number of treatments required. Magic on the other hand started with a very low reading of 25epg, and from the risk assessment which the consultant carried out meant that she was able to commence on a monitoring program. This incorperated faecal egg counts set at suitable intervals to monitor her throughout the year safely without putting her at any risk, then during the winter months base chemicals were provided for protection against the encysted worm, tapeworm and bots. We saw pleasing results with clear readings throughout the spring and autumn. The strategy moving forward for Magic, will be to continue to monitor using faecal egg counts to ensure no encysted or larval activity occur, provide the base chemicals in the second year of monitoring, before starting a reduction program if the faecal egg count readings continue to come in clear. "With both horses programs worked out by your team, you have saved me money already"